Pinfold Lane, Fishlake Doncaster, South Yorkshire. Wedding & Prom Dresses For Sale. 158 Marshland Rd, Moorends, Doncaster, South Yorkshire. Electrical & Computer diagnostic work. 24 Finkle Street, Thorne, Doncaster, South Yorkshire. Canterbury House is a family run business established in 1935 by John & Adeline Holgate who opened a small watch repair and jewellery business that gradually grew in size. We are a family run Cheese Delicatessen who's mission is simply to provide artisan goods from all over the UK that are full of "life's little luxuries" that are value for money and delight the recipient. We supply Branded, Shop designed or Bespoke hampers which are available all year round and are for all types special occasions. Whether it is a birthday, anniversary or Christmas. Chips and Things, home of the great British fish and chips. We source the finest and best ingredients and fry to perfection in 100% vegetable oil. Displaying the prestigious Seafish Frier's Quality award shows customers that the shop is one of the best frying businesses in the country. The Award stands for an assured degree of excellence. It emphasises, to existing and potential customers, the high standards of product, premises and service offered by the holder. We are a Doncaster based Utility Surveying and Ground penetrating Radar specialist company with over 15 years combined Surveying expertise. We can carry out all aspects of Surveying Works including Utility Mapping, Drainage surveys, Land Surveys, CCTV Surveys and Clearance and Avoidance work. Selling quality secondhand books via website, catalogue and book fairs. Visitors by appointment. Specialty areas, boxing and football books, architecture, industrial history and general non-fiction books. 86 Walnut Road, Thorne,Doncaster, South Yorkshire. We are a family run business. We do Mots services repairs tyres aircon diagnostics etc. Our Garage offers everthing you need to get your car or van back on the road. We do all Repairs and Services and Mot. We also offer a recovery service. Hatfield Road, Thorne, Doncaster, South Yorkshire. We are a family run company with strong customer base. We strive to always achieve the best results and to give our clients exactly what they desire. 2 Vermuyden Villas, Sandtoft, Doncaster. We offer motorcycle training courses including CBT (Compulsory Basic Training), Module 1 and Module 2 training, Direct Access, back to biking and more. Learn to ride with a friendly DSA approved instructor with over 18 years experience. Queen Street, Thorne, Doncaster, South Yorkshire. We recognise people's needs change over time. This is why, at Queen Elizabeth Court, we can provide the necessary support to help residents stay in their own homes as long as possible. Please feel free to visit our new showroom on King Edward Road in Thorne. You will find a friendly relaxed atmosphere where we can discuss your ideas. We will then work closely with you to produce a no obligation design for your kitchen, bedroom or bathroom using our state of the art technology. Trust the experienced Schofield Interiors team and take advantage of our full design service and our professional installation teams. We are open Monday to Friday 9am to 5pm and Saturday 10am till 3pm. Evening appointments are available on request. Mosscroft Lane, Hatfield, Doncaster, South Yorkshire. Customised software systems need not be expensive. We help to automate your day-to-day running tasks saving you time and money and improving efficiency. We provide free consultation and deliver systems specifically tailored for your company needs. Please contact us to discuss the range of competitive solutions we can offer for your business. 89 Grange Avenue, Hatfield, Doncaster, South Yorkshire. Slatelands Photography are professional photographers based in Hatfield, Doncaster. 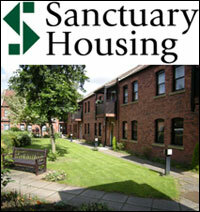 We serve South Yorkshire and surrounding areas. South Parade, Thorne, Doncaster, South Yorkshire. We offer a great range of Swim, Gym and Leisure activities throughout the week all at great prices. We also offer great membership packages and have subsidised rates for Children, families and leisure card holders. Come on down and see for your self! 3 Finkle Court, Thorne, Doncaster, South Yorkshire. On this website you will find information about the services we offer to our members, application details for those wishing to join, loan calculators and our very latest news - including the winners of the monthly Members' lottery. 45 Queen Street, Thorne, Doncaster, South Yorkshire. 7 South End, Thorne, Doncaster South Yorkshire. 44 Walnut Road, Thorne, Doncaster, South Yorkshire. All handmade to your requirements & Budget.